Alexandra Monir is an author and recording artist in her twenties. Suspicion is her third novel published by Random House. Her debut was the popular time-travel romance, Timeless, followed by the 2013 sequel, Timekeeper. Alexandra currently resides in Los Angeles, where she is at work on her next novel, while also blogging for The Huffington Post and composing an original musical. Her music can be found on iTunes, and you can visit her website at www.alexandramonir.com. Follow Alexandra @TimelessAlex. 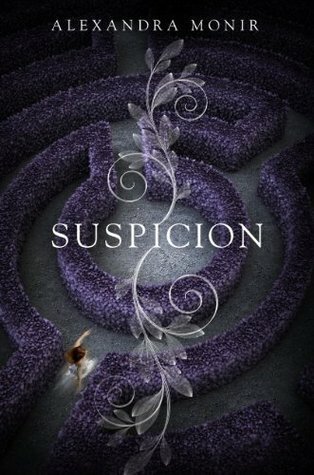 Suspicion is the kind of book that will keep you up all night wanting to read it. It is such a great mystery and the setting was so intriguing. Monir gave me a book full of twists and turns that kept me on the edge of my seat the entire time!